Back at home after our Chamonix/Mont-Blanc hike, it was time for apertifs! We did a little tasting experiment with a couple of different french wines and foie gras - my first time ever trying this rich delicacy, and suffice it to say a pleasant surprise. 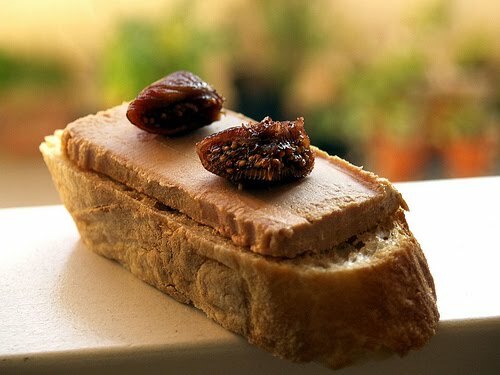 How to Serve Foie Gras: There are many different and tantalizing ways to serve foie gras, for example it can be roasted, grilled, poached, sauteed, accompanied with fruit, or just served cold. We decided on the later as it is the traditional and simplest way to do so. All one has to do is remove the foie gras from the can, place on beautiful serving dish and serve with bite size pieces of dry toast. Simple, easy and delicious! The luxurious, rich quality of foie gras calls for a pairing with a good quality vintage wine, whether, white, red or Champagne. In general, you should avoid young or very light-bodied whites and big bold reds. Try to aim for somethign around 5-7 years old. 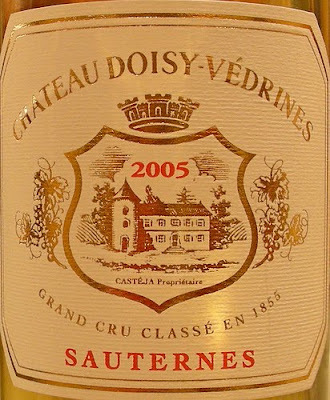 The classic pairing with fois gras, and my personal favourite, is Sauternes (be sure to serve chilled! ); however, it could also work well with a vintage Champagne, late harvest Riesling or an Alsace Gwerztraminer. If you're going to do red I would suggest something soft and gentle like a Pinot Noir or Merlot – this could work especially well if the foie gras is served hot. Such as roasted foie gras with port wine reduction sauce and sauteed figs. The method of preparation and ingredients used in your recipe will give you clues about which wines to serve.